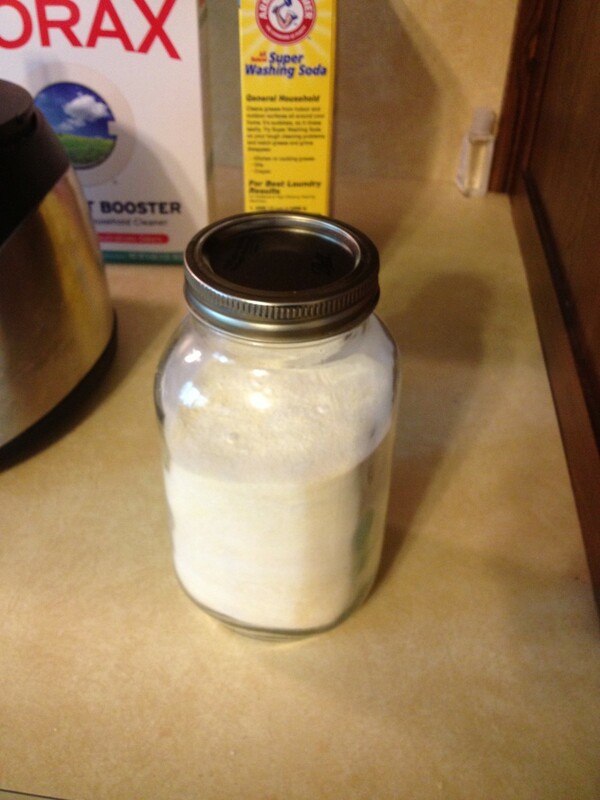 Homemade Laundry Soap - REALLY?! When I first heard that there were people out there that made their own laundry soap, I had visions of hippies wearing sandals all the time and living in communes. I didn't mean any offense to those who did it, but I just couldn't wrap my pre-programmed mind around the fact that a person could make something themselves, at home, that you only had to use 1/2 cup of the liquid detergent or only 2 TABLESPOONS of the powder for A WHOLE LOAD OF LAUNDRY...Come on folks, how on EARTH could this stuff actually get your clothes clean and do so even better than those store bought brands with their labs and scientists coming up with top secret formulas?!?! Well, I'm a very frugal woman so the opportunity to save this much money finely won me over - I thought I just had to give this a try... If nothing else to prove to myself that it just wasn't worth it - Boy, was I wrong!! I now proudly call myself one of those folks that make their own laundry soap and guess what... It cleans even BETTER than the store bought stuff at a FRACTION of the cost! The following recipe for the liquid (which is what I use) cost me a total of .71 to make 2 gallons which is 64 loads of laundry - do the math folks... that's less than .01 PER LOAD. Compare this to the store bought name brands (the "T" one in the orange bottle) at .21 per load and you can really see the savings by making your own laundry soap. I'm going to include 2 recipes in this article - 1 for liquid and 1 for powder detergent. Both use the same ingredients with great results. I found all of these ingredients (except the water of course - I just used tap water) at my local Wal-Mart in the laundry aisle. They even had them sitting side-by-side for easy shopping... must be more of us laundry soap makers out there than I thought! 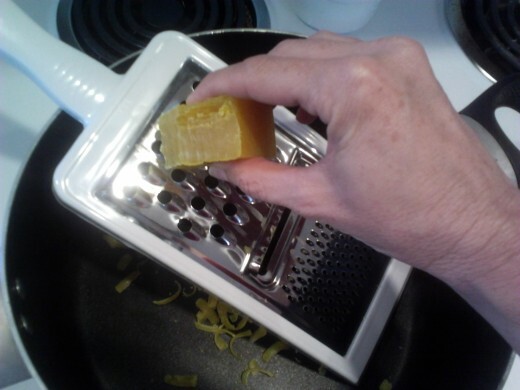 First we need to grate 1/3 of our bar of fels naptha into a bowl. 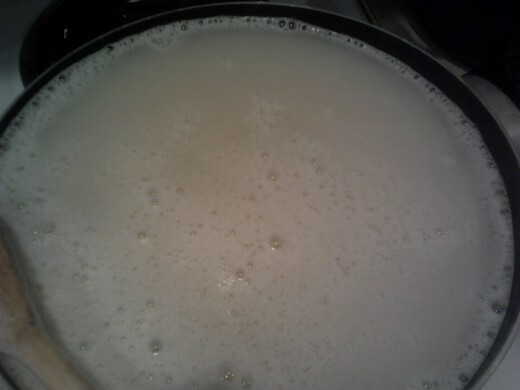 Then add it to a large saucepan with 1/2 gallon of water and heat over a medium-low heat until soap melts completely. I stirred mine constantly (as if I was making gravy or pudding) for about 10 minutes for this to happen. 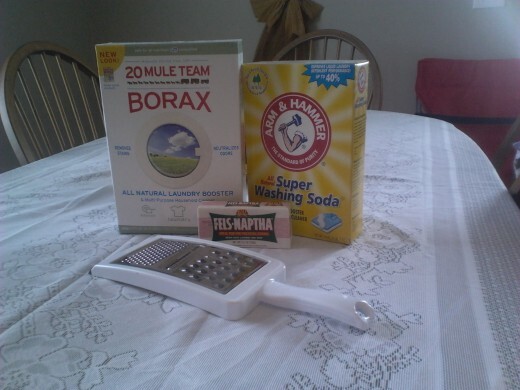 Next add in your washing soda and your borax and stir until dissolved - allow to softly boil for about 5 minutes. This will allow the mixture to thicken up, then remove from heat. In a bucket or bowl big enough to hold 2 gallons, pour 1.5 gallons of water and add your soap mixture. Stir well to mix. Pour into saved store bought laundry containers or I used an old kitty litter container that I had saved and washed. Nice because it has a lid and handle for easier use. Use 1/2 cup per load (for HE washers use 1/4 cup per load) and if you have heavy soiled clothes increase to 3/4 cup. Mix together well and store in an airtight container. Use 2 TABELSPOONS per load. This soap does not produce suds, so don't think you did it wrong just because you don't see any bubbles - It's still working. If you want a scent in your liquid laundry detergent, try adding 1/2 - 1 oz of Essential Oil to the mixture (my favorite is lavender or jasmine oil). Instead of using fabric softener, try using 1/2 cup white vinegar in a Downy ball or in your fabric softener dispenser on your machine. Does not make your clothes smell like vinegar and really makes them soft at a MUCH cheaper price and without the chemicals. You can even line dry using this and the clothes and towels are soft...don't feel like cardboard! Try 1/2 cup hydrogen peroxide instead of oxyclean in your wash - WAY cheaper and does a much better job! 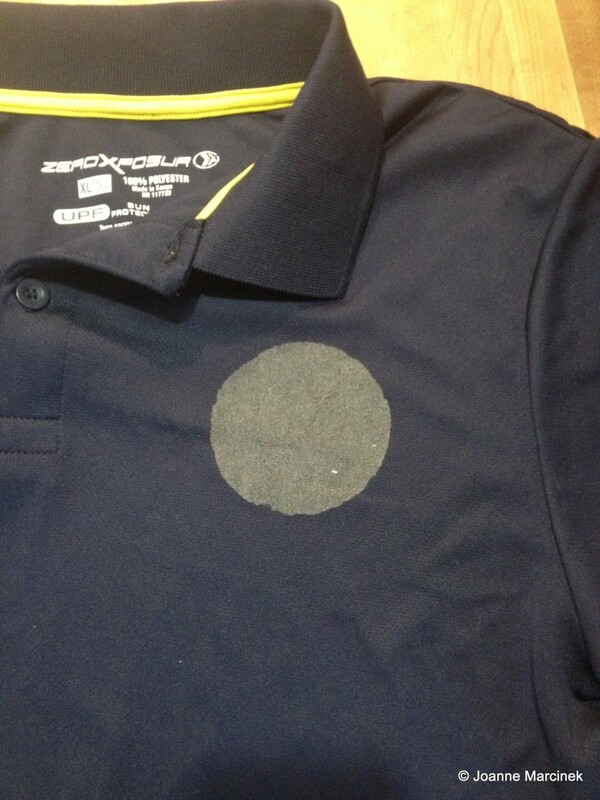 Best Stain Remover I've found - rub a bar of fels naptha on the stain before washing. Works wonders on ring around the collar! I really hope this helps some of you out there get started on making your own laundry soap. Give it a try and don't be afraid to experiment with it a little bit (especially on the scents). It can really save you a ton of money. Keep in mind that the above recipes only use a portion of the products you will initially purchase so it will actually be much cheaper than the .71 I mentioned above as you can make 3 batches out of 1 bar of fels naptha along with even more batches of the other ingredients. Gift Idea: You can make some and put it in a cute container along with some homemade towels all in a clothes basket for a great housewarming or bridal gift. As always, if you have any questions please feel free to contact me and I'll do what I can to help! Want To Write for HubPages Yourself?? I've been making my own laundry soap using these same ingredients for over a year now! It helps me take more pride in washing my clothes. I feel a bit like a pioneer :) Following you!! This has been on my loonnnng list of things to try. Voted up, useful and interesting! I know some people who swear by making their own soap. This is the first time I have seen the secret formula. Great hub!